Our abbreviations page can be found here. If you are looking for technical and sewing up help for Edward's Menagerie please download the .pdf guide here. The five weights of TOFT yarn can be used in almost any knitting pattern, just make sure you check your tension and the total meterage needed for any project. If you would like some help with substitution of our yarns into a a non-Toft pattern just get in touch and we would be happy to help. To knit stocking stitch in the round you simply knit every stitch in every round. An example of stocking stitch knitted in the round is the BEGINNER BEANIE. Other TOFT products that use stocking stitch are the SIMPLE CHULLO and the EASY WRISTWARMERS. Even easier than stocking stitch, garter stitch is just knitting, every stitch, every row. Garter stitch creates a piece of knitting that will lie flat and look the same on both sides so it’s a great first project stitch when you are learning to knit. Our BEGINNER POM POM SCARF is an easy knitting pattern in chunky garter stitch. To knit garter stitch in the round you must knit and row and then purl a row This is used in our POM POM HAT and EASY TUNIC VEST. This stitch uses both stocking stitch and garter stitch one after the other, in stitches rather than rows, knitting on purls and purling on knits to create this beautiful textural stitch. American patterns often call this seed stitch. Once you’ve learnt enough about knitting to recognise a knit stitch from a purl stitch moss stitch is a great next step. This stitch looks just as good in Toft’s FINE alpaca yarn as it does in our CHUNKY alpaca yarn. The MOSS STITCH SNOOD is a great project for beginners to get used to alternating between knit and purl. For more help take a look at our KNIT AND PURL STITCH HELP VIDEO. The basic crochet stitch, from this every other crochet stitch grows into a treble, half treble, you name it. It looks great used alone for beginner crochet projects and is also used in most crochet patterns as a linking stitch. All of Toft’s yarns are great for crocheting , patterns like our NET AND FLOWER SCARF use FINE alpaca yarn and the CHAIN SCARF uses ARAN. Recent popular crochet choices are the LACE SHAWL - perfect for the summer -, and of course the EDWARD'S MENAGERIE. As with knitting Toft’s yarns can be substituted for use in almost any crochet pattern, just CONTACT US if you need some help deciding. Want to learn to crochet? Why not come on one of our WORKSHOPS? You are replicating a knit stitch using a needle and thread over the top over of some stocking stitch knitting. It can be used to add delicate patterns to plain knitting and sometimes it’s also used to darn socks. If you were knitting intarsia and just one stitch per pattern repeat was required in one particular colour you might ignore it whilst knitting and then go back and swiss darn it afterwards. Not sure? See our SWISS DARNING HELP VIDEO. One of the great ways to make your stocking stitch or garter stitch more exciting, particularly if you are a beginner knitter who isn’t quite ready for a new stitch yet, is to add stripes to your knitting. Once you have finished a wrong side row leave your current colour and just begin knitting with the new colour. Leave a short tail that you can sew in later, knit one stitch with the working yarn and the second stitch with both the working yarn and the tail to secure the new colour. This is the same method to use when you are starting a new ball of yarn after coming to the end of another. Tying knots in the middle of a row is messy and potentially ruinous if it comes undone! If you fancy experimenting with this knitting method make sure you check out the TUBE COWL, an ideal colour changing project, perfect for beginners! These are often called blackberry stitch if used one after the other. Essentially you are making say five stitches from one stitch, knitting just these stitches for a few rows and then decreasing again before carrying on with the rest of your knitting. TOFT's FINE yarn is ideal for making dainty bobbles on the BOBBLE END SCARF. 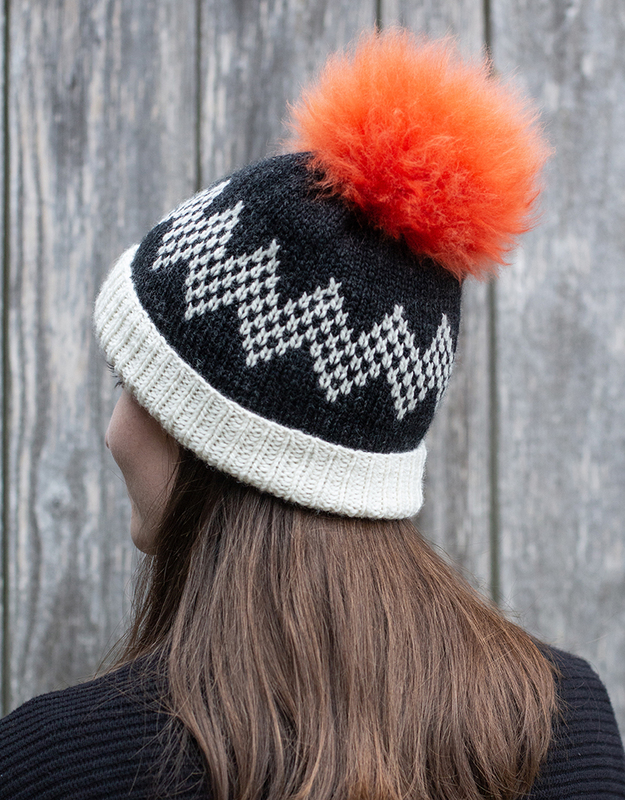 See Toft’s knitting HELP VIDEOS for how to make the perfect bobble. Cable knitting can be as easy or complex and intricate as you want to make it. Patterns such as our CABLE WRISTWARMERS make a perfect beginner cable knitting project. The one way twist cable pattern is simple and yet looks professional and unique, especially when knitted in luxury knitting yarns such as our DK. When cabling you are in effect twisting the stitches and knitting them in the wrong order and to do this you will almost always need to use a cable needle held to the front or the back (although a pencil or large hair pin can be a good substitute!). See our BASIC CABLE STITCH LEARN TO KNIT VIDEO. As used in our CABLE CUSHION pattern this cable takes some stitches (usually at a central point of the cable) onto the cable needle, they are then physically wrapped with the working yarn several times under the cable needle before being slipped back onto the left hand needle before being knitted. As used in our BOBBLE LEGWARMERS this more advanced cable (sometimes called ‘sands through the hourglass’ cable) uses a combination of cables, MOSS STITCH and BOBBLES to great effect. Often confused with blackberry stitch, this particular stitch lends itself to being knitted in most yarns including chunky as seen on our TRINITY COWL. It's created much like a bobble or blackberry stitch in that a few stitches are made from one and then to keep the same amount of stitches per row the next three stitches are knitted together. This beautiful lace stitch is quite time consuming but worth the effort. 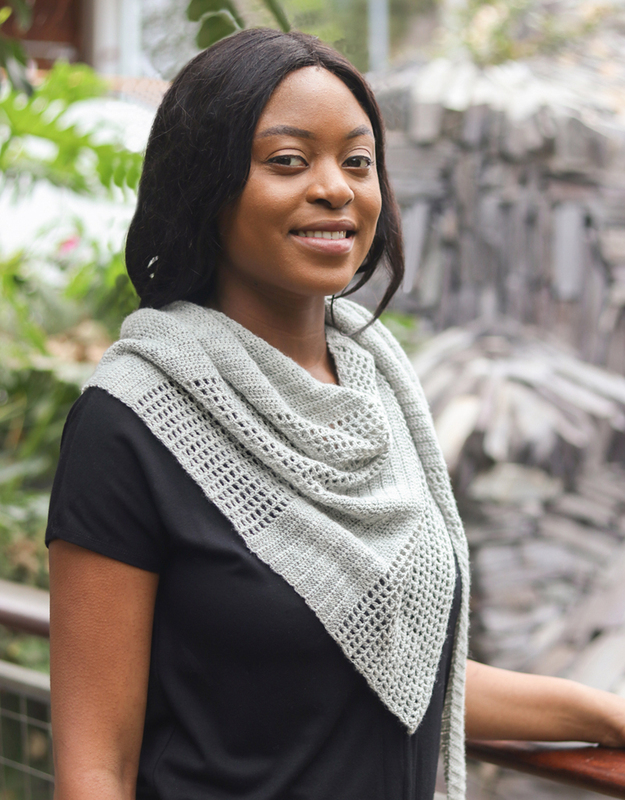 Like most lace knitting patterns it uses wraps, decreases and increases to create loopy stitches, gathers and fans. The end result is a pattern that looks like a hyacinth flower repeated again and again. It works well in Toft’s FINE and lace yarns as well as DK, thicker yarns wouldn’t work so well - the delicate stitch definition might be lost and purling 5 stitches together could become quite tricky. See our HYACINTH STITCH VIDEO. A great example of this stitch is on our HYACINTH WRISTWARMERS. If you find purling 5 stitches together quite difficult you could always slip 4 stitches purlwise then purl 1 stitch and slip the previous 4 slipped stitches over it. A great little knitting lace pattern this is a lace stitch that could be used for both ladies and men’s patterns. Yarn around the needle between purl two together stitches creates small eyelets every 4 rows rows. Yarn around the needle differs from yarn over because the working yarn is taken right the way around the needle back to the correct position (either knit or purl side depending on what row you are working). This lace stitch is quite unusual because it actually looks far more effective when knitted in chunky yarns than in finer ones.Ideal for our loose look knitting WAVE COWL, it uses wraps around the needle during a knit stitch and the wraps are then dropped on the following purl rows. It is a beautifully unstructured quite organic looking stitch (and if you happen to make a mistake it will be very difficult to notice!). Also known as ‘crowns of glory’ this lace stitch looks great knitted in our Fine yarn. It is one of the more advanced stitches used in our SUMMER SCARF. Like so many lace patterns it is well worth the effort you put in. The small and large eyelets are created as you might expect from yarn overs and decreases. To bring out the very best of your lace knitting, once an item is completed hand wash it carefully and then block it, stretching it out using blocking wires and pins if you have them, or use a towels to pin it stretched out. You will not find a recommended needle size on the labels of TOFT yarn. Rather than an oversight, this is a deliberate decision as there is no hard and fast rule about the size of knitting needle or crochet hook you should use with any particular yarn. The desired look, feel and drape of the design will dictate the size of needle that is used, and thus TOFT patterns are all written on different tensions using the same yarns. When making a TOFT project from a TOFT pattern we would recommend that you check your tension before casting on your project and that you adjust your needle size if required. Obviously your only limitation is your creative ability. If you have plenty of time and skill lace garments, babywear and shawls are amazing and really suit the nature of the yarn. 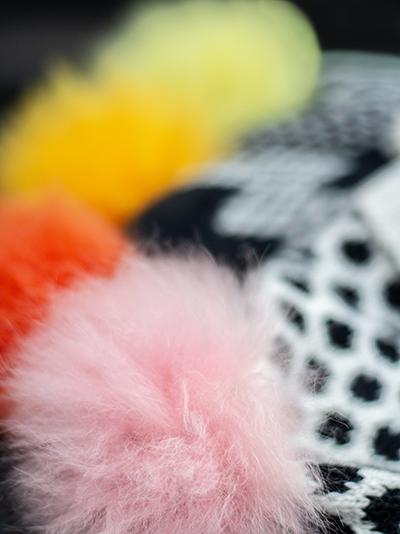 We have seen some amazing knitwear produced by knitters who have used it in ways that we don't. We've seen stunning very intricate traditional aran weight sweaters - amazing pieces of work in a yarn worthy of the hours of time put into the piece. 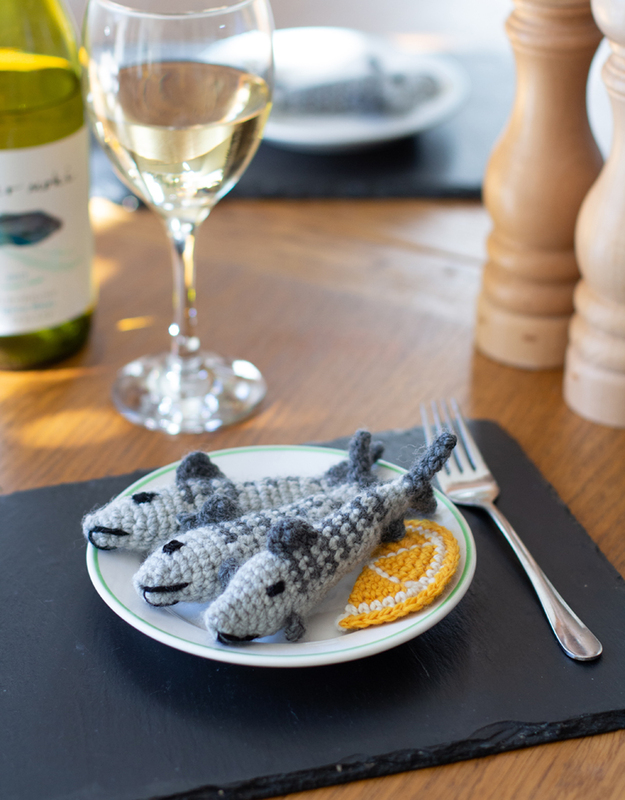 TOFT specialises in designing knitting patterns and knitting kits for beginner knitters. We produce lots of easy chunky knitting patterns where you can teach yourself to knit using our knitting HELP VIDEOS. Learning to knit is very fashionable again and no longer the pastime of the retired. Our chunky knitting patterns mean you can achieve catwalk looks and you only have to spend a couple of evenings on the sofa! We have tried to cover the basics of knitting and knitting help videos to accompany any of the more unusual stitches used in our patterns. TOFT runs an extensive range of KNITTING WORKSHOPS in the Midlands, UK. Crocheting with TOFT wool yarn has great results whether are using lace or chunky. Create delicate items with intricate stitches using lace or fine yarn such Solomans Knot, but likewise using chunky yarn with a huge hook will create sculptural pieces with just a double crochet stitch. Newbies learning to crochet might like to use a medium hook and DK yarn for starter projects. Introduction to crochet workshops run throughout the year at TOFT and once you’ve mastered the basics why not come back for a master class where you can tackle more difficult stitches and interesting techniques. Please, ALWAYS check your tension before you begin a project because you are using a new natural material and it will not always respond in as uniformed a way as mass produced and computer-spun acrylic. Toft patterns now all state the tension that project is worked to at the top. To ensure professional results with your knitting please check this before casting on. 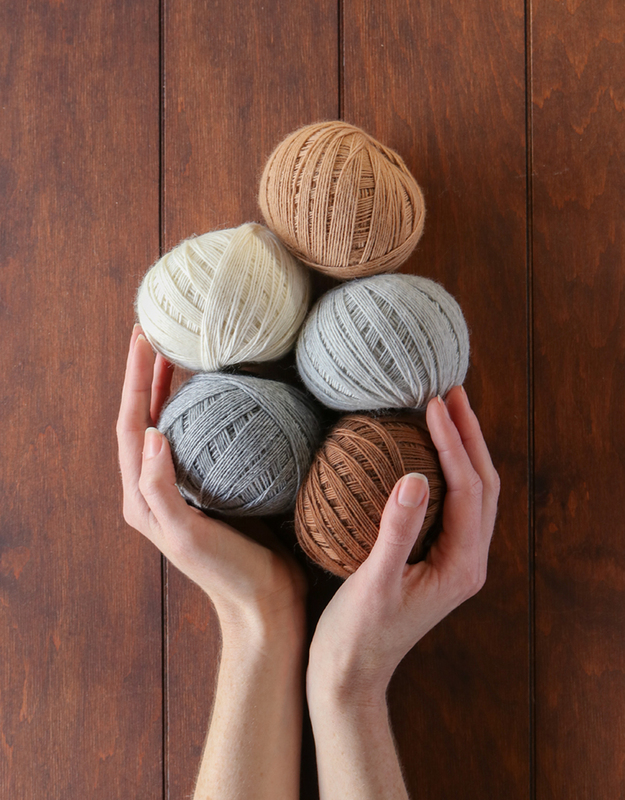 You will find that each ball of TOFT yarn has a ‘recommended needle size’. This is not a hard and fast rule as different projects demand a different handle and feel to the knitted fabric. Please follow the needle size written on the pattern- not the ball of yarn. This acts as a guideline to anyone composing their own patterns in TOFT yarn. When knitting with a natural fibre it is important to handwash your knitting after you have finished knitting or crocheting. We would recommend using a delicate/natural detergent, something as easy to get hold of as Woolite or Ecover Delicate (which can be bought at all supermarkets) will work just fine. Fill your sink with tepid water and allow your item to soak for 10-15 mins. After you have rinsed you can gently spin the item in the washing machine to remove excess water. Dry your knitted items flat to avoid any misshaping. We would also recommend allowing your items to dry slowly – don't attempt to speed dry on top of a radiator, AGA or boiler.